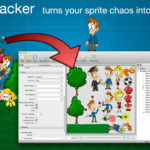 TexturePacker : Excellent tool for creating sprite sheet and makes game developer’s life EASY !! Sprite sheet TexturePacker Life SAVIOR !! 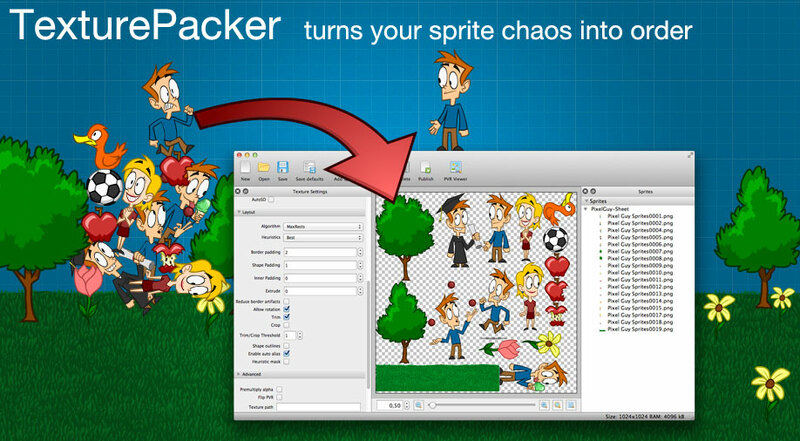 TexturePacker is an excellent tool for creating or making sprite sheets. It also has a command line version, which works wonderfully with batch processing and integration with Xcode. 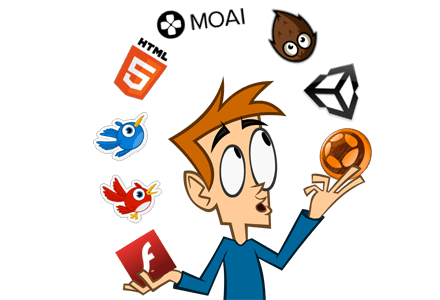 When creating 2D games, it’s essential to combine or group up sprites into one large image called sprite sheet or sheets, to get the best performance for games & to improve the load-time. It will automatically downscale sprite or sprites for all devices. Create high-resolution images, scales images, publishes for all devices with a single click. Reduces runtime memory consumption in huge amount. It packs multiple sprite sheets at once. Distribute sprites across multiple sheets. Sort sprites to multiple texture atlases. It reduces memory consumption, not image quality. 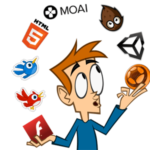 TexturePacker can directly import file from .psd , .png, .swf, .jpg, .tga, .tiff, .bmp verious extensions. Trimming/Cropping: It removes transparent pixels from border of the sprite. It removes transparent pixels from border of the sprite. ← Why sprite sheet ?